Named after the man who established the breed back in 1827. 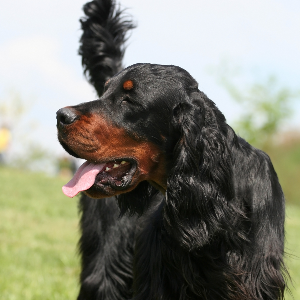 Gordon Setters enjoy dog sports such as field trials, hunting, agility, tracking, and obedience. Stubbornness may be reduced using motivational tools such as toys and treats in reward-based training. Although usually friendly, some may be reserved with strangers. 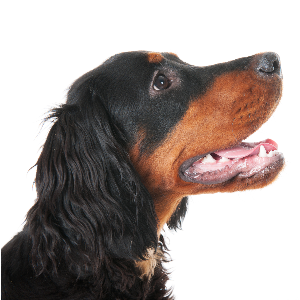 The Gordon Setter is named after the man who established the breed back in 1827 – the Duke of Gordon. 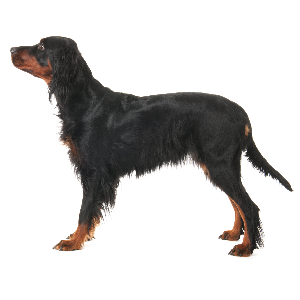 They weren’t always called Gordon Setters, though. 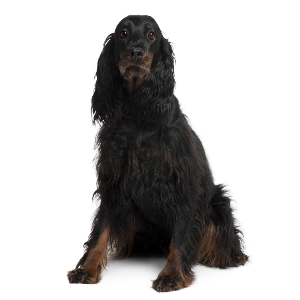 They actually started off being known as the ‘Black and Fallow Setting Dog’ (which doesn’t exactly roll off the tongue…). 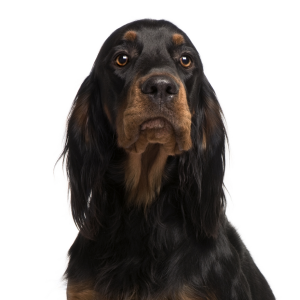 Graced with eager and confident personalities, they’re part of the Setter family of dogs, which also includes the Irish Setter and English Setters. 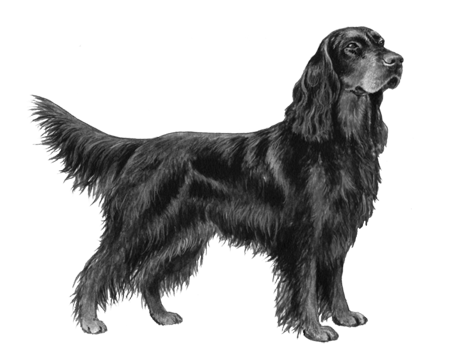 Like so many dogs, they were bred to hunt which, in their case, was usually for grouse. 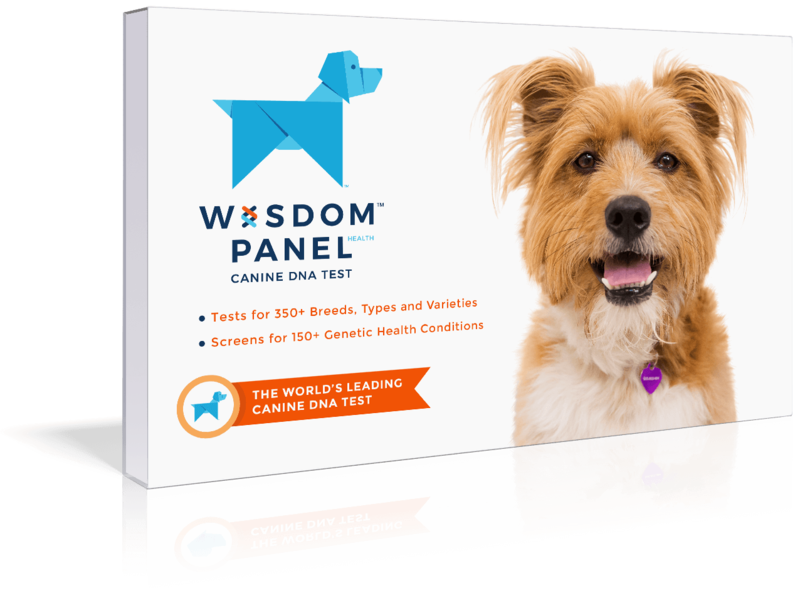 No one knows their exact ancestry, though many suspect Gordon Setters come from Spanish breeds including the Spanish Pointer and that there’s Irish Setter blood somewhere in the mix. However they came to be, we’re just glad these sociable dogs are here.